Today all you need to run a business online is to set up an Ecommerce website and decide what you’re going to sell and for how much. There is a great variety of Ecommerce sites on the market, and you should have no problem finding a platform that suits your business. In this article we’ll take a look at the best platforms for 5 of the most popular types of online businesses today. Launching a food and drink business is unique in a number of ways. Unlike an apparel store, for example, before you even go online you need to make sure to take care of a number of health considerations involving food safety. You need to follow state and local health department regulations, and if you run your foodservice business out of your home kitchen, you’ll probably need to have it inspected by local authorities. Not only that, you need to make sure to include labels and warnings for people with food allergies, as well as information for people who have religious dietary restrictions. Before you get there though, you need to do some market research. Is there a market for your food product? Is it trendy, and if so, will it be a flash in the pan that’ll disappear in 6 months? Can you product be easily sold online and shipped? As opposed to in a brick and mortar eatery, customers won’t be able to sample your products before purchasing. Therefore, you need to make sure the packaging is appealing and that it’s presented in a rich and attractive format. 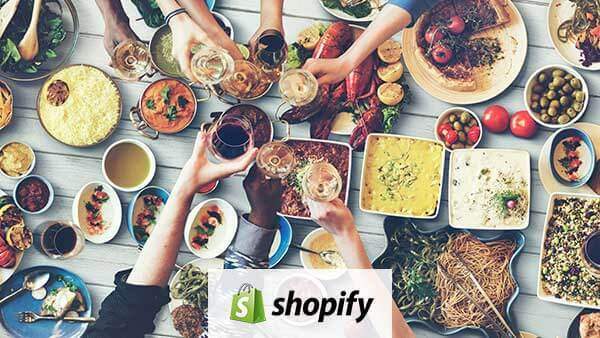 With Shopify, users have access to well over 150 templates, including 18 that are specifically designed for online food and beverage vendors. These 18 templates cost between $140-180 each, but they provide a rich and attractive platform for selling your wares. 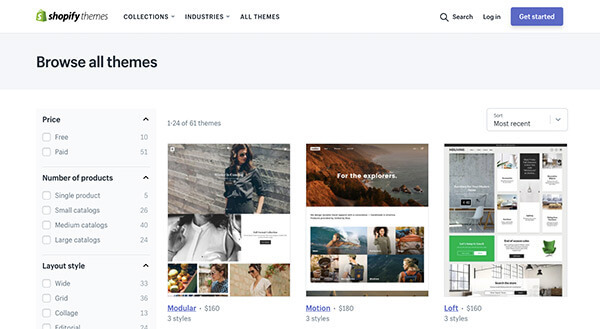 Shopify themes are easy to sort and browse, including over 150 templates to choose. The 18 food and drink templates include themes like “local” ($160), a stripped-down, clean and attractive theme that is perfect for small local eateries. It links to your Instagram and gives information about the store’s location, hours of operation, and goods and services, without making the site look busy or cluttered. The “Focal” theme ($160) has a grid-style that Shopify says is ideal for lifestyle and product imagery. It’s a very sound option for eateries that want to feature a series of pictures of their products, such as the Focal demo on the Shopify site, which is set up for a cookie store and shows detailed, close-up photos of one type of cookie after another. “Pacific” ($180) is a similar theme that is also geared towards stores with large inventories. “Alchemy” ($150) is a theme suited for sites that want to run deep, large, high-resolution images across the screen. It’s better for creating depth and highlighting an overall establishment like a café rather than specific menu items. Does your business have a story? Do you want to have rich, immersive text and videos tell the story of your product? If so, the “Palo Alto” theme ($180) is an ideal option for businesses with a small catalog who want the space and ability to add text that leads the reader through their story and their mission, and also incorporates large homescreen videos and photos. All themes include SEO tools, drop down navigation support, free updates, social media icons, built-style and color palettes, free stock photos, customizable content sections, and all are mobile-friendly. On Shopify you can set up a wholesale channel which runs tiered pricing and syncs your inventory automatically. You can run the entire business off a central dashboard and create customer loyalty programs at any time. If your online food business steps out into the real world, you’ll be able to use the Shopify point of sale (POS) to run a food cart, pop up, or other entry level offline food business. Designers with a keen eye for fashion have more opportunities than ever to pursue their passion thanks to the internet. Before you get started running an online apparel store, there are a few things to consider. First off, you need to figure out your niche and your identity. Are you making baby clothes or maternity wear? High-dollar business attire? Custom-made sneakers? See if there is a market for your designs and how you can carve out a little corner for yourself in a crowded industry. When you launch, as a brand-new outlet you may want to offer some introductory sales and coupons to new customers to get the ball rolling. You’ll need an Ecommerce site that can accommodate this, and with BigCommerce, coupons, discounts, and gift cards are provided with every pricing plan. BigCommerce is a highly-customizable Ecommerce platform used by both small- and medium-sized companies and clients like Cargill, a major international conglomerate. It is mobile ready and fully scalable as your business grows. BigCommerce makes checkout easy for your customers, with a one touch PayPal plug-in and instant check-out. It can also fully integrate on eBay, Amazon, Facebook, Pinterest, and Google Shopping. BigCommerce helps you build your online store with simple, yet beautiful, designs. In addition, the platform has tools to reduce shopping cart abandonment, including synchronized inventory tracking. Shipping quotes, product ratings and reviews, and professional reporting tools are standard on all accounts, and everything should stay up and running with a promised 99.9% uptime rate. Not only that, but BigCommerce won’t charge any commission on your sales. BigCommerce can present your designs on 33 templates created specifically for fashion and jewelry, covering everything from kid’s clothing to men’s formal wear. These templates are rich and detailed, which is especially important since customers won’t be able to try the clothes on in person. That said, only 2 of these templates are free, and the rest range in price from $145-$235. Following your vision and dream to become a fashion designer is a big move that shouldn’t be taken lightly. 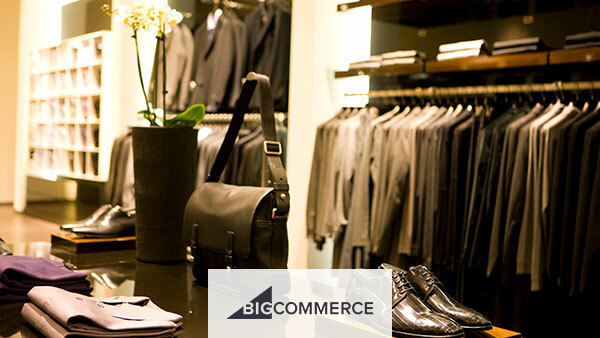 With BigCommerce, you can build an online store that can turn your vision into a thriving business. Price: 2 plans that include an online store, Ecommerce at $16.50/month and VIP at $24.50/month. You’ve got an idea for a toy that could be the next fidget spinner or Rubix cube, and now you’re trying to figure out how to get this idea to sprout wings. Basically, you’d be hard pressed to find a better option than Wix. 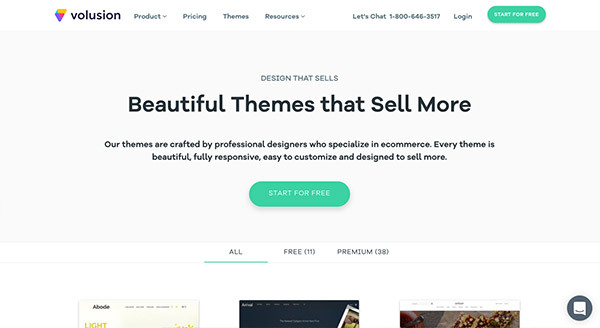 This website builder is known for its drag-and-drop interface, as well as being one of the most user-friendly options on the market. For a small business owner setting up an online store, you probably won’t have a tech guy on hand to navigate a complicated website that requires some familiarity with coding. 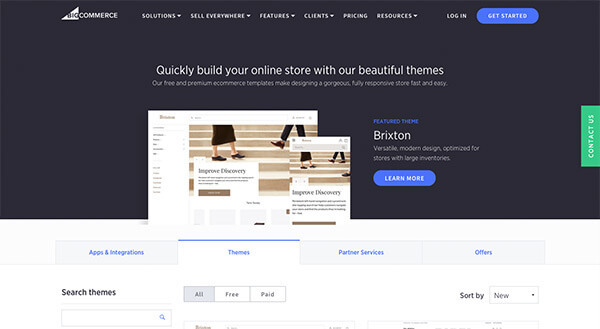 While there are hundreds of templates available on Wix – one of the company’s main selling points – there are currently 60 designed for online stores. 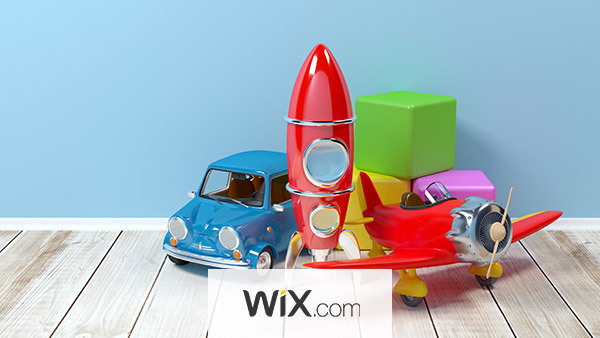 Getting started with Wix is easy, thanks to its wide variety of templates and themes. There are 2 payment plans on Wix for online stores, the Ecommerce plan at $16.50/month and the VIP plan at $24.50/month. They are both essentially the same—with unlimited bandwidth and 20GB storage—but by paying extra for the VIP plan users are provided with a professional site review and 10 email campaigns a month, which could be put to good use promoting your business. In addition, Wix accommodates coupons and discounts that can be used to attract new customers. With Wix, users can easily track their sales and manage shipping through the platform, and take advantage of PayPal integration. Wix also automatically optimizes your site for mobile devices. The platform makes sure that all transactions are secure – and they take zero commission on any of your sales. The Wix Ecommerce options do not automatically include Facebook integration, which is one drawback. If you want to use the world’s largest social network to make sales for your business, you’ll need to install a third-party app which can be purchased through the Wix market. The app is developed by Shopial, and costs $6.99/month. There is also a free version but it only allows you to display up to 9 items. And while Wix is certainly user-friendly, you may run into some issues at times, which is when the 24/7 customer support will come in handy. If you’re looking to set up an online store for gadgets and sell electronics, take some time to gauge the market and act accordingly. Is there something that sets your gadgets apart from the crowd? Do they represent a vision that your company has? 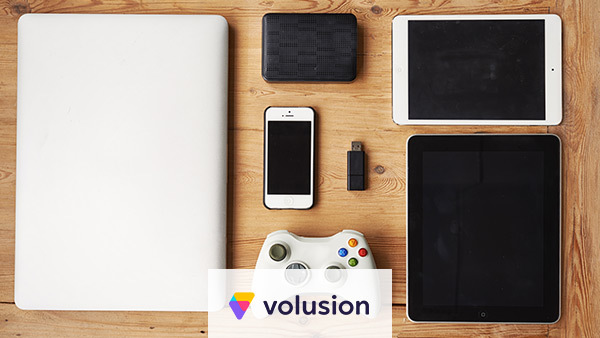 Once you’ve figured out how to pitch your offerings in a crowded marketplace, take a look at Volusion as your Ecommerce base. Like Wix, the platform has an easy-to-use drag-and-drop interface that keeps you from wasting time on web design and wrangling code. 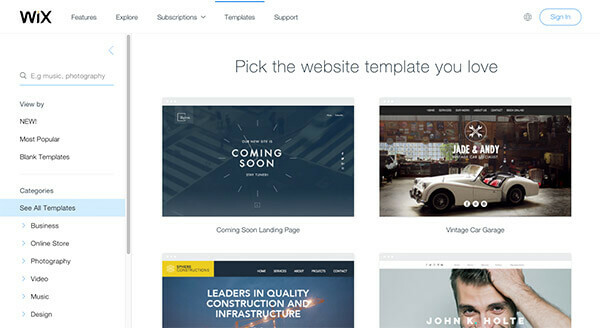 Volusion helps you create your online store with customizable templates. Volusion offers 4 separate pricing plans, starting at just $15/month for the “mini” plan, up to $135/month for the premium plan. All provide online support and secure checkout, but with mini you’re limited to up to 100 products. That may be enough for a small online store just getting off the ground, but it doesn’t include ratings and reviews, newsletters, and abandoned cart reports. If you spend an extra $20/month you can move up to the Plus plan, which allows you to sell up to 1,000 products and gives you 3GB of bandwidth to keep things running smoothly. The most popular plan – Pro – runs $75/month and allows you to sell up to 10,000 items. More importantly though, with the Pro plan includes eBay and Amazon integration, and allows phone orders, customer loyalty plans, and a dedicated account manager. Volusion offers built-in SEO tools to help your store get noticed by customers, as well as extensive social media integrations, including with Facebook. You also have access to detailed analytics reporting, to help you keep track of your stock and your operating costs. When it comes to customer service, with Volusion you can access their online chat 24/7, as well as a toll free number where you can speak directly to a service representative. You love to read and collect books, and now you want to turn your hobby into a business. Because there are so many online bookstores – including giants like Amazon – you should try and focus on a niche that will set you apart. You could focus on self-help books, or parenting guides, or just young adult fiction. Whatever you decide, you need to think of a way to set yourself apart from the big fish, and start collecting the inventory you need. Once you’ve settled these issues, give WooCommerce a try. It’s an Ecommerce plugin that turns your WordPress website into an online store. Set up is easy and you manage the store entirely from your WordPress dashboard. The price range varies from as cheap as $13.99/month for the entry level “starter” plan, to $31.99/month for the pro plan. All come with unmetered bandwidth, customer support and SSL certificate, but that’s where the similarities end. With the starter package, you get only 100 GB of website space, while on the other plans it is unmetered. You’re also limited in the number of domains and email accounts with the starter plan, and receive only $100 in marketing offers, as opposed to $150 for the plus package and $300 for the pro package. Payment is built-in with PayPal and Stripe, keeping things simple. Security is also a selling point, with payment plans coming with SSL certificate and a dedicated IP. 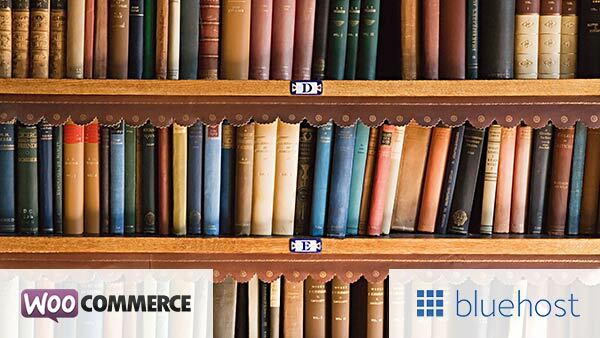 And to help you keep track of all those book titles piling up in your garage, WooCommerce includes stock levels control, which – like everything else on the platform – you can manage from your mobile device. Furthermore, there is a great deal of freedom with WooCommerce, because you can implement literally hundreds of WordPress plugins to customize your site as you see fit. Though setting up an store online is significantly easier than a storefront, there are still many variables to consider. You have to determine your “identity” as a vendor and a brand – what are you selling, who is it for, and what sets you apart. Once you’ve laid the groundwork, finding the right Ecommerce platform for your business can play a major role in whether or not your small business dreams come true.